Relationships. We all love our friends, our girlfriends or boyfriends, or family members. But photos are forever. 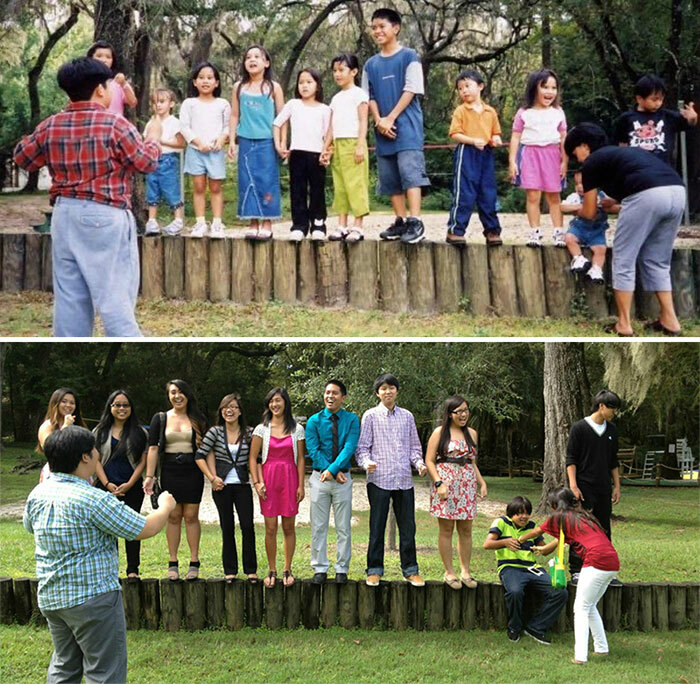 When people take photos, sometimes they re-act the photo years later. Hopefully, they still keep the strong bonds between their friendship, and still are as close friends as they were before. 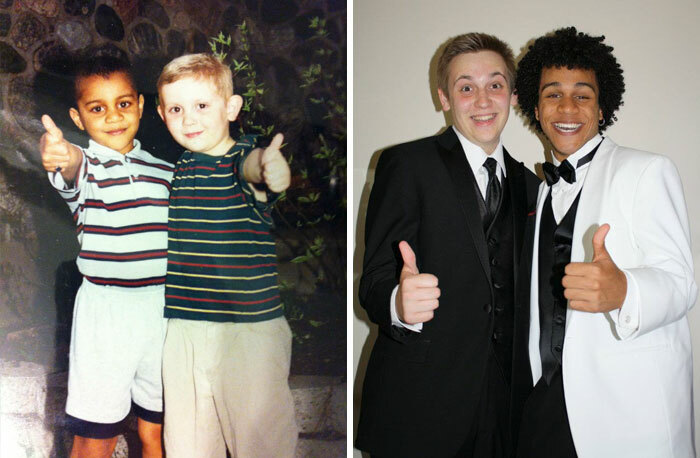 Enjoy these photos of everlasting friendships. Yes, this signed picture above represents the relationship that would still remain years later. Friendships bring them back together, and the same amount of love is placed. 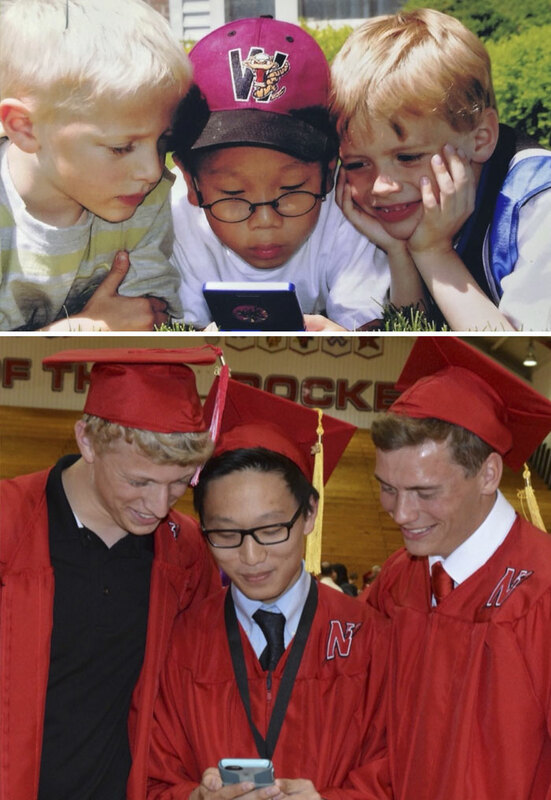 Once best friends, forever best friends. Funny part is, they still look the same! The same eye contacts, the same face, the same people. 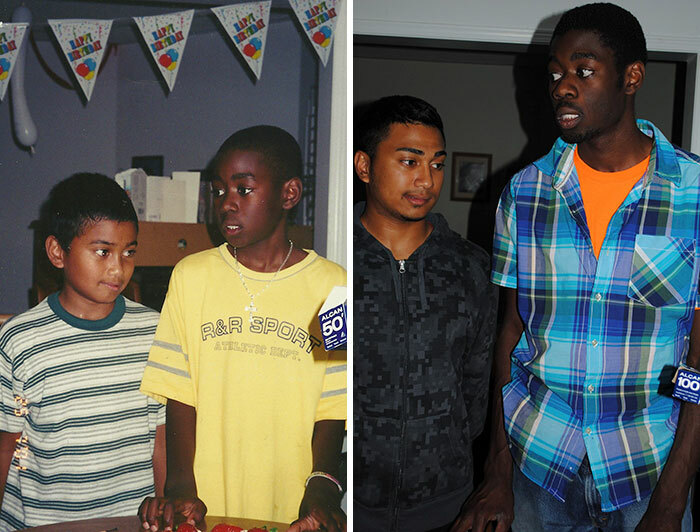 Just 12 years later. And they both still look the best. Look at them. On the birthday. Congrats! No, not high school. But College. To hear that best friends reached college together is just an amazing fact, and the fact that are still best friends just displays that friendship can never end. I’m happy for these guys. From Child, to Best Friend. How do two different guys still connect and be really good friends even after college and more? I’m just amazed. 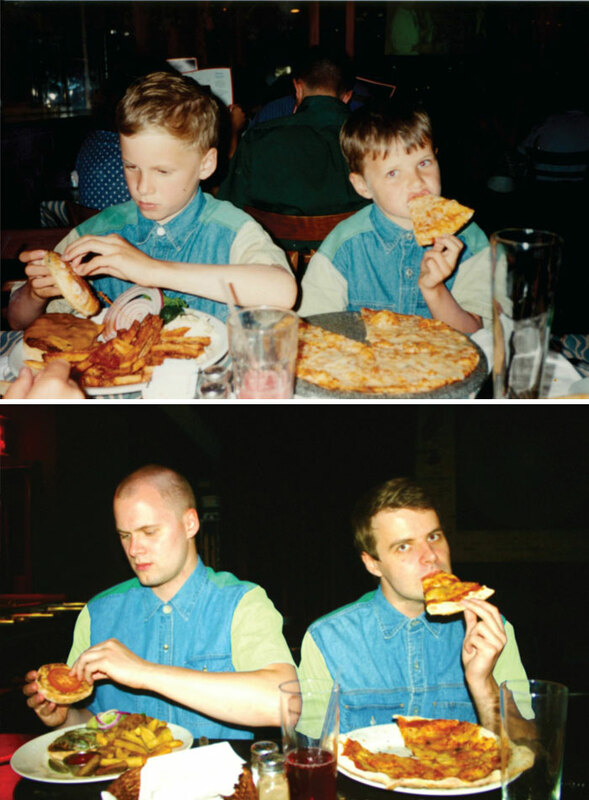 You can never forget the bros were once met and ate together. And now, they are doing the same just eating so much good food together. Same outfits in the future as well? Magic placed because of food. The classic gameboy. The Asian in the middle, and the two brother who were interested in whatever game was being played. I love these photos, because that means even the brothers are still cool with the guy. Classic. Once friends because of the military and their girlfriends at the time, now married and old. I am just amazed how they have kept even their girlfriends to this day. Impressive. They have been friends for centuries. They have lost, gained, and experienced tons of different family members. And now, they have become into something that is plain magical. Always dirty boys. 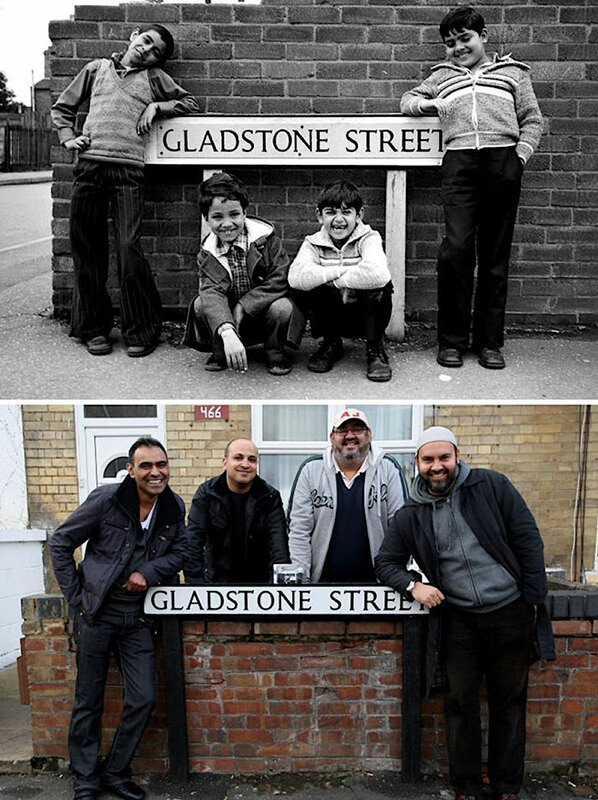 This is almost the same place.. And just like 20 or more years later, they still look the same. Amazing friendship that is going on here. 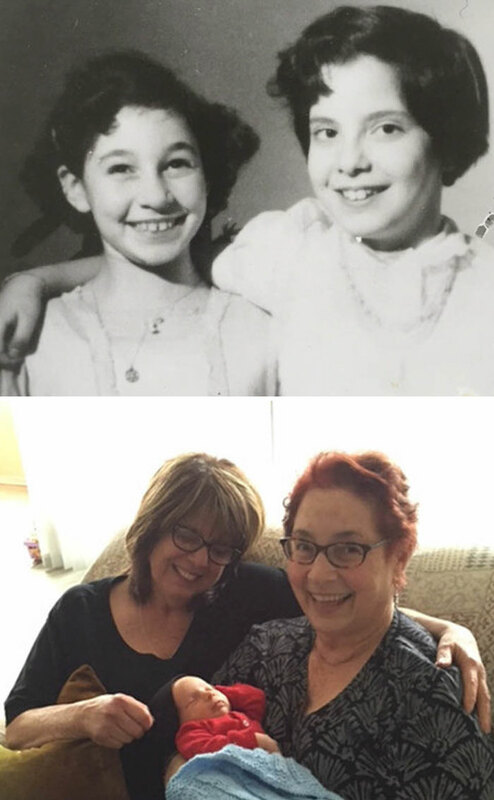 I can’t believe after 76 years, still friends. 76 Years, and it’s gone. 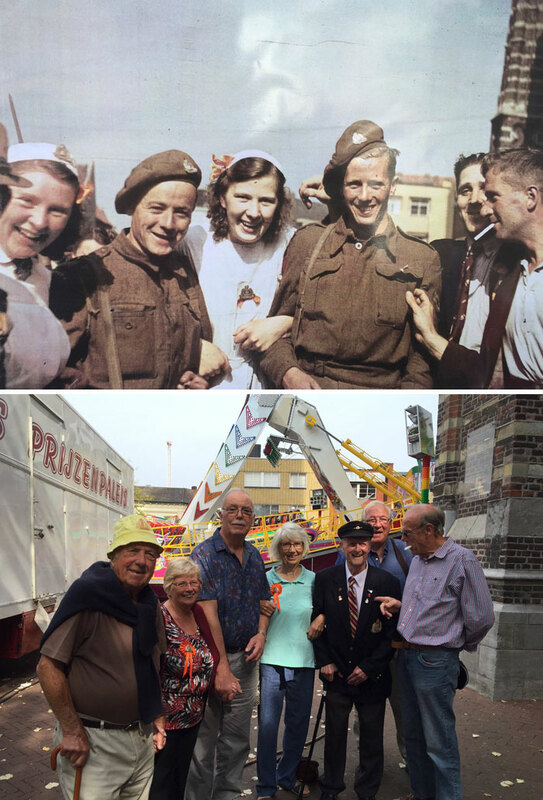 I wonder how fast time sped for them.. And after those amount of years, they can meet each other still and laugh and cry together just as much as they did 76 years ago. Almost brother and sister. But look how much they have grown! 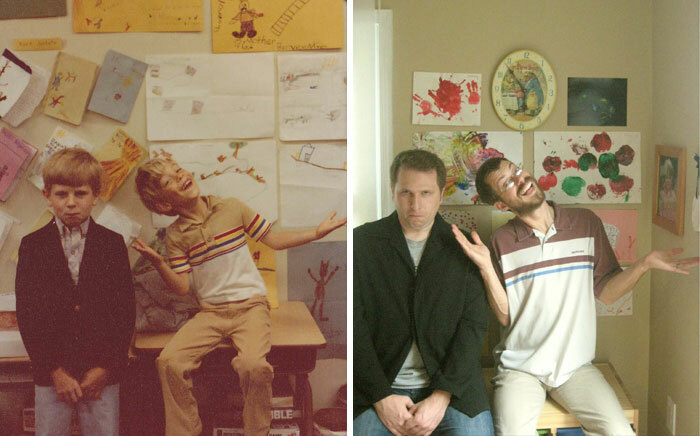 Still the same poses, but totally different people. This just shows that much growth. Adults. From Kids to Adults. How do you guys stay such close friends? To contact each and every single one to re act their photo. Imagine when they have a conversation to meet up and talk with each other. Classic. The healthy friends. 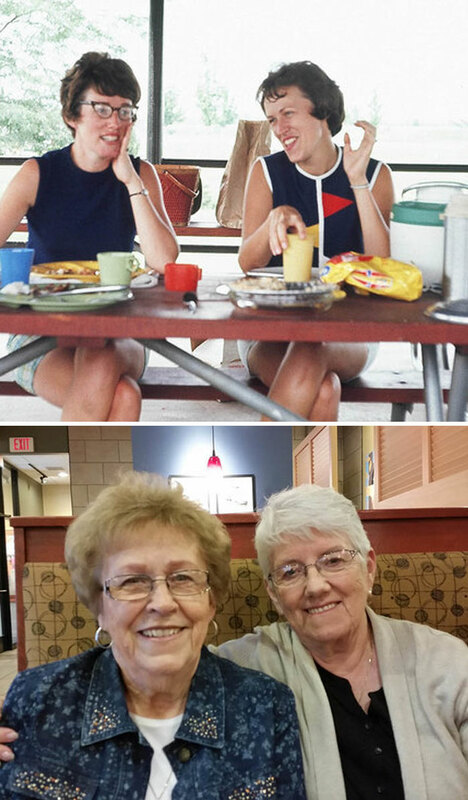 It’s amazing to see these relationships last for this long, and remain healthy. 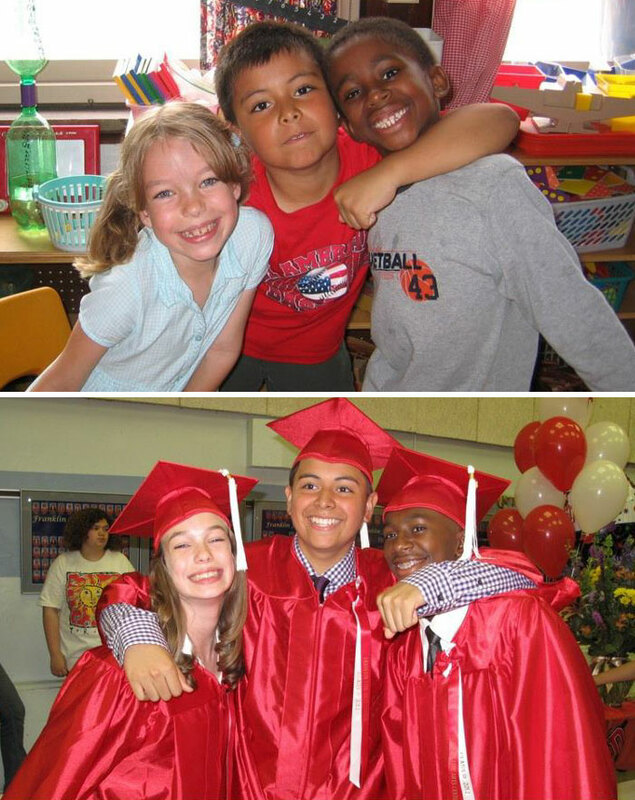 I am surprised that for that long, when they probably made more and more friends, they still took such a great photo. 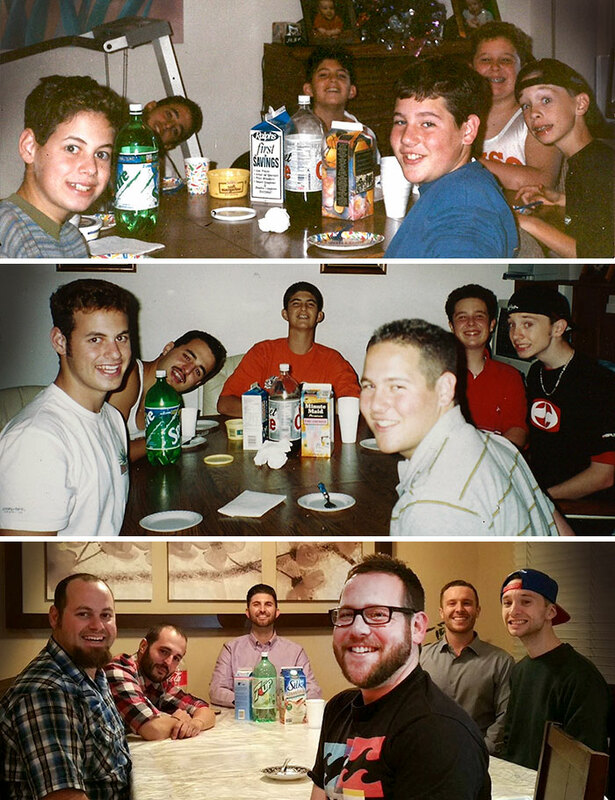 Who knew, these five guys would always come to the same spot and take the exact same photo. And every photo, they look older and more closer as friends. 70 years. Are you serious? How do you guys maintain the relationship for so long! Not even related, and didn’t even have technology. Must have been true best friends. 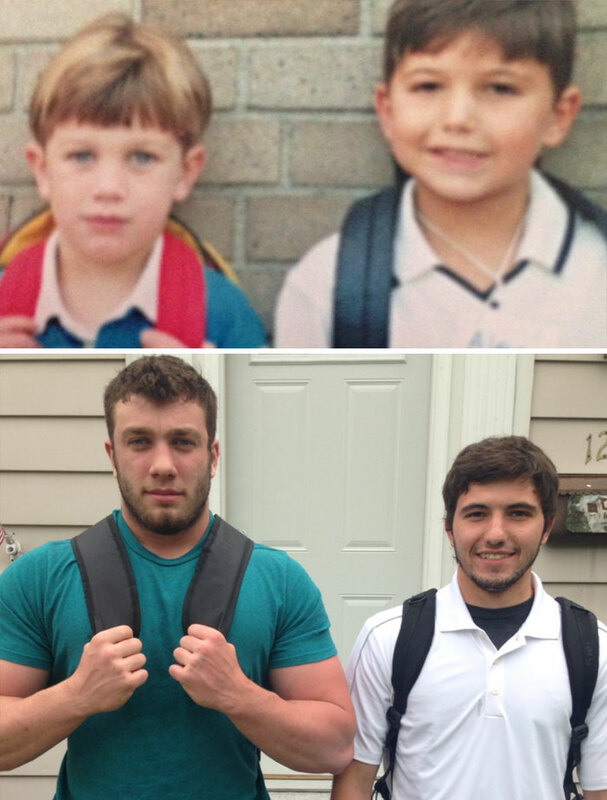 Best Buds for 19 years. Best friends. Three times? This is insane. 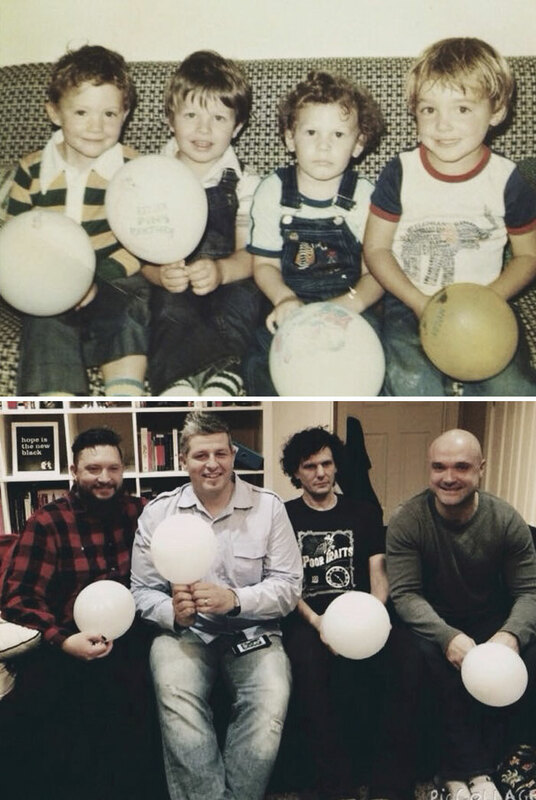 They all grew up to become older and older, and still best friends. 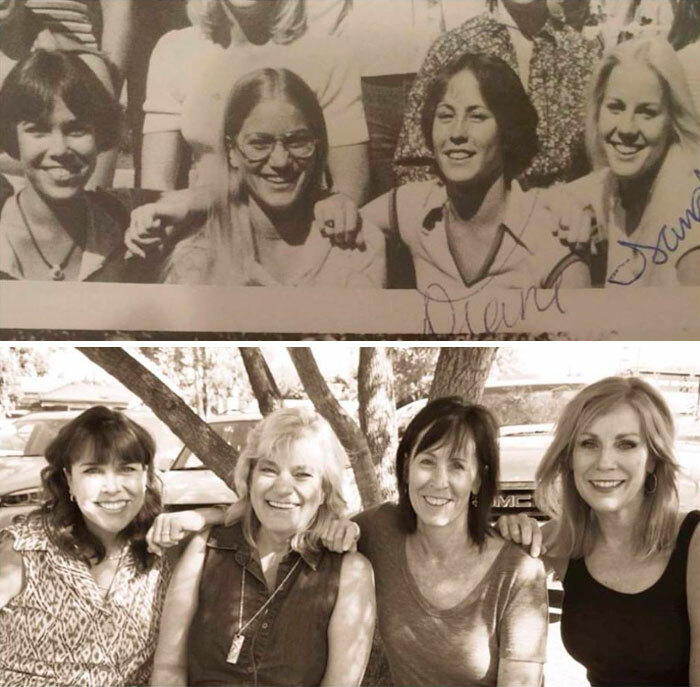 I really love how their relationship grew within around 19 years, and still all of them are together. Tub Photos? This is always the most embarrassing photos. Yet, they re-did it. And the fact that it’s now beer? I love these baby photos. I love photos like these. From Elementary school, and yet they maintained such a healthy relationship all the way to high school. I respect that with lots of pride and joy for all three of them. Military? This is just amazing. 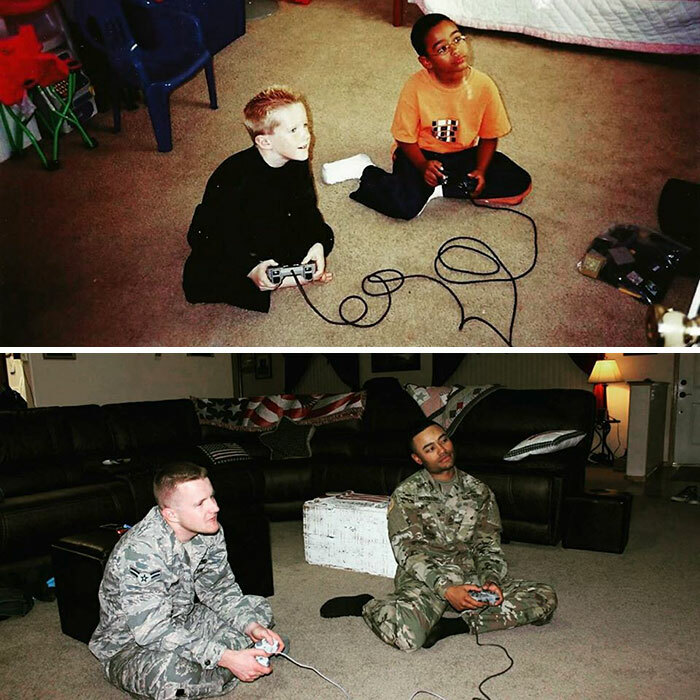 Once friends playing video games, to now where they both are close friends while in the military. I respect that a lot. I hope their relationship is still built on gaming. 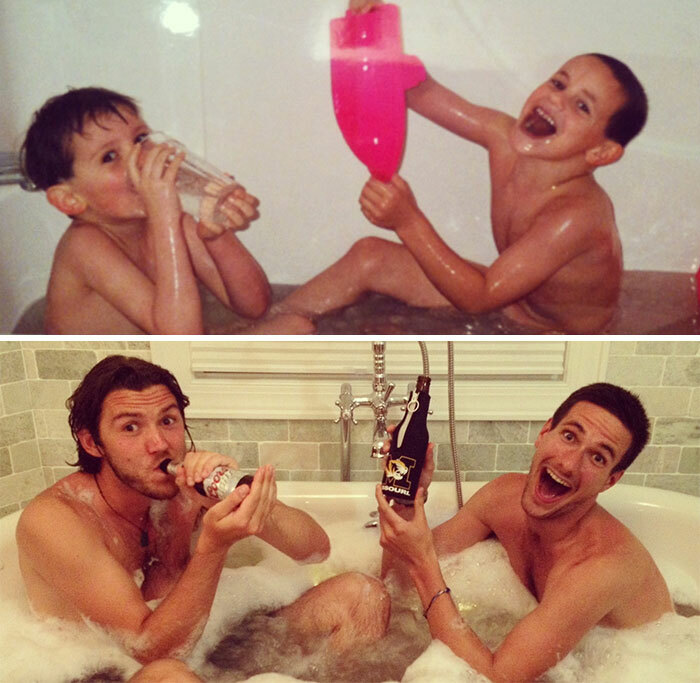 Once kids, now adults. I am so happy for them. Imagine them in those times, with a tent, and where they are today. 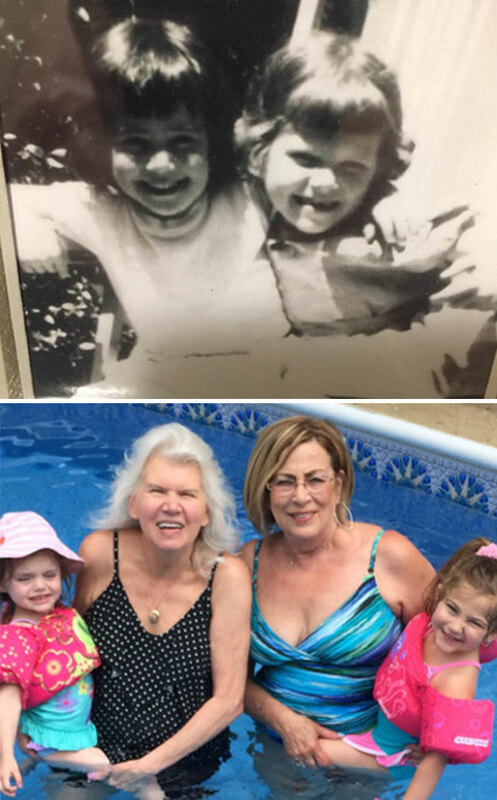 So unbelievable that best friends have lived in the same city for 40 years, and still meeting and talking with each other for more then 50 years. Not biological sister, but emotional sister. Still Grown Men. 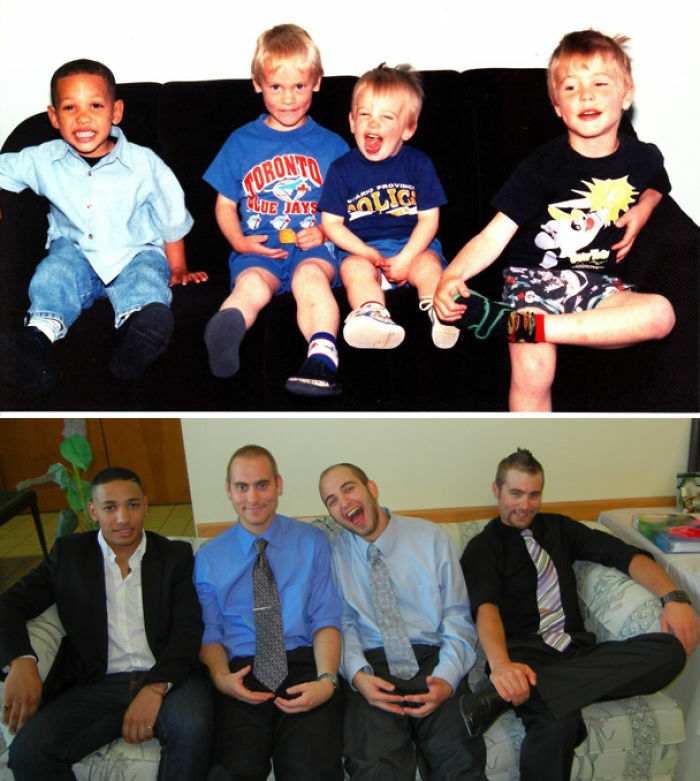 From Babies to fully grown men. How many guys really stay the same, best friend for this long? Yeah, nobody. Amazing. Even though separated for many, many years, they have reunited. 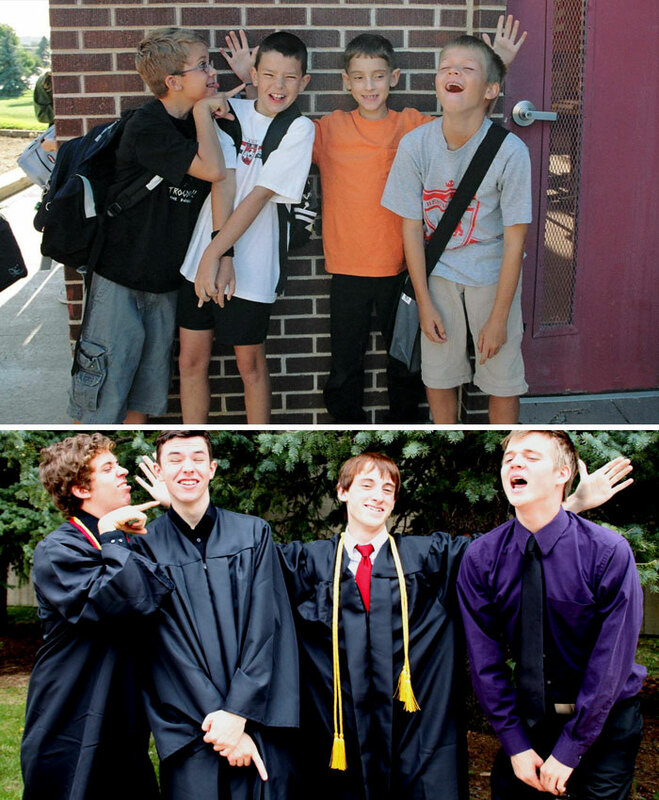 They still look the same, still goofy and happy about everything. How could you hate these best friends! 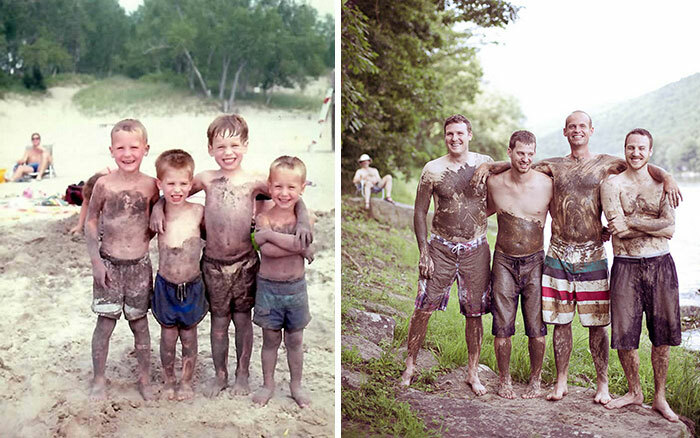 Ten Years Later. Always best friends. Look how many people there are. That many still remained best friends. That is simply amazing. How many people can you really keep that close to your heart? To keep all those happy and having a good relationship is just hard, but they did the impossible.